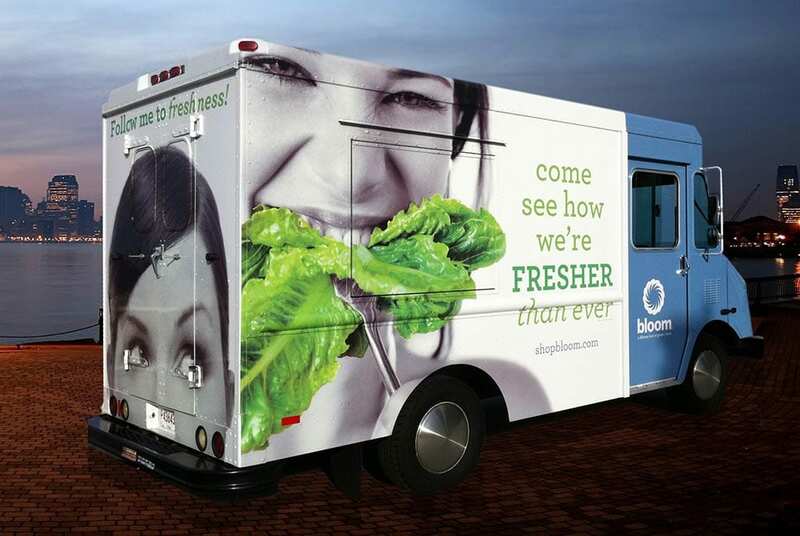 They say seeing is believing. 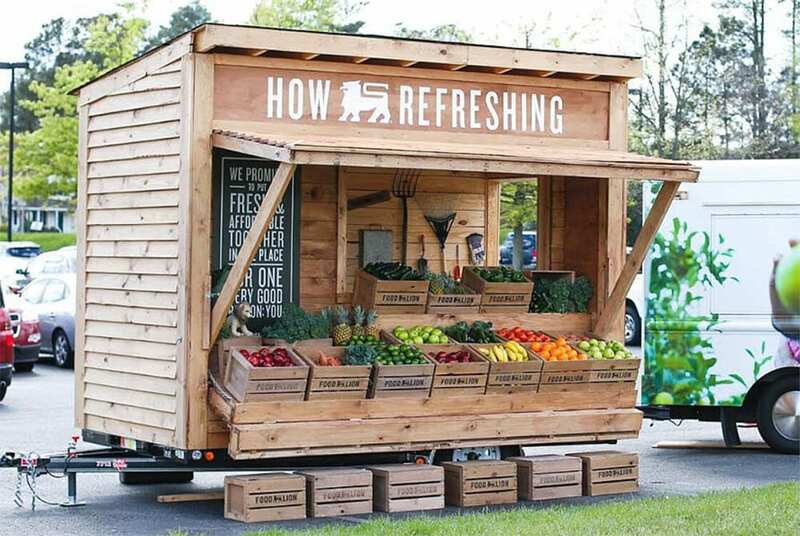 That’s especially true for experiential marketing. 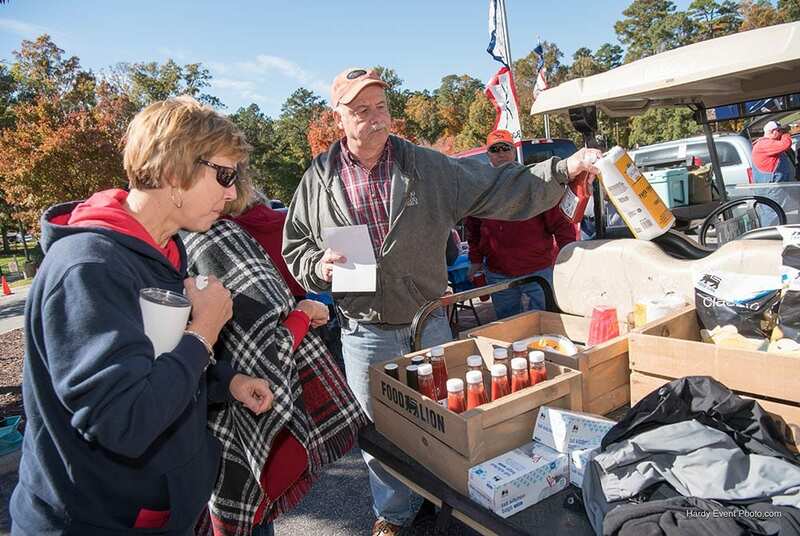 At HardyHarris, we know that seeing our work is second only to experiencing it for yourself. 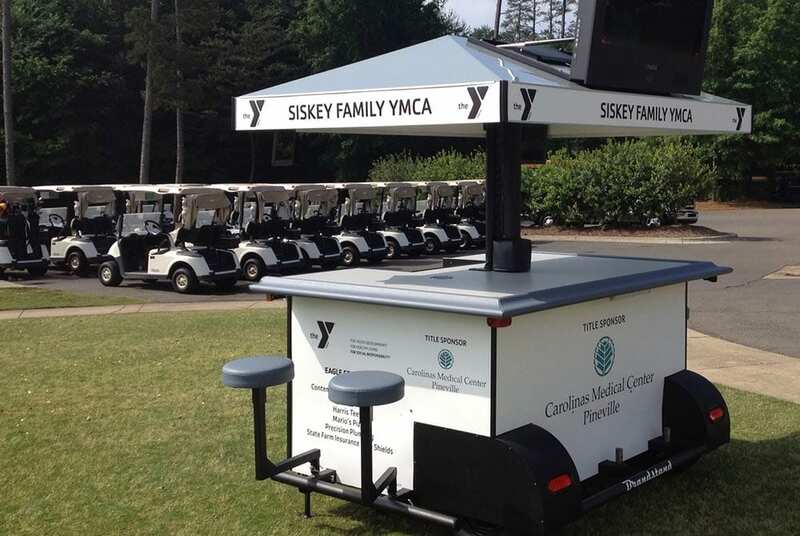 Take a look at our portfolio of projects to get a taste of what we can do for your event. 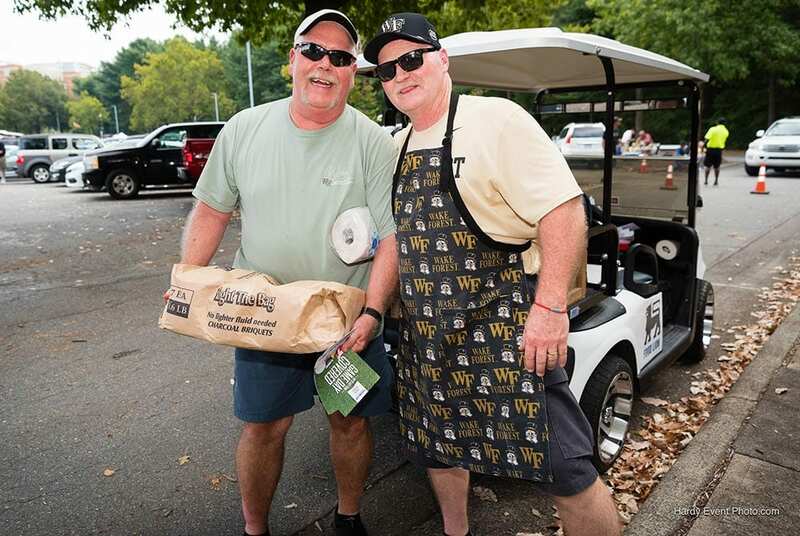 Together Food Lion and HardyHarris support the Demon Deacons fans at Wake Forest. 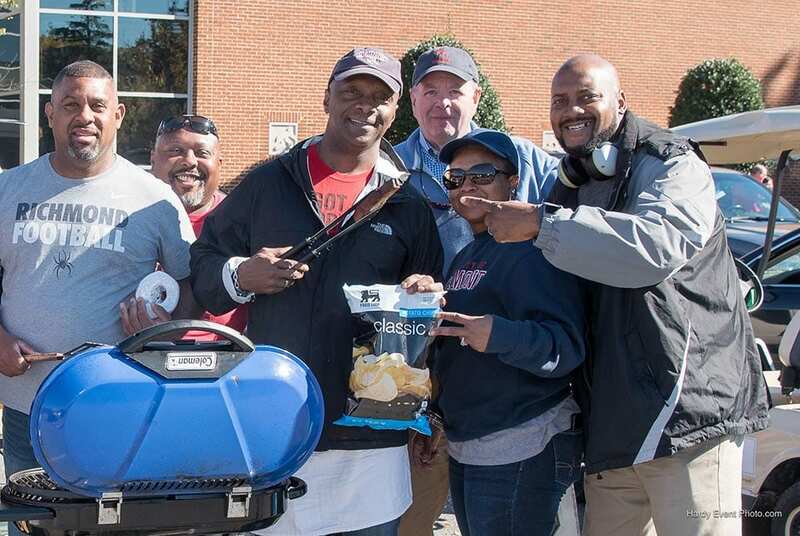 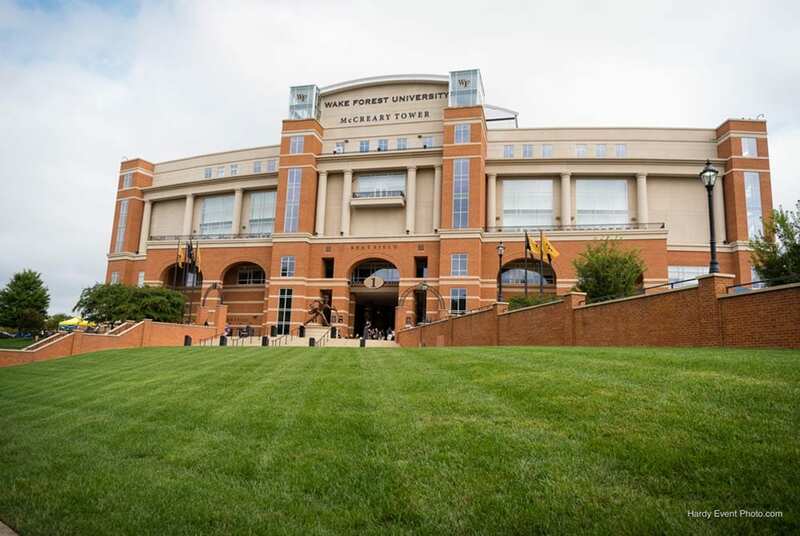 We supply tailgaters, fans and alumni with the products they need when they need them. 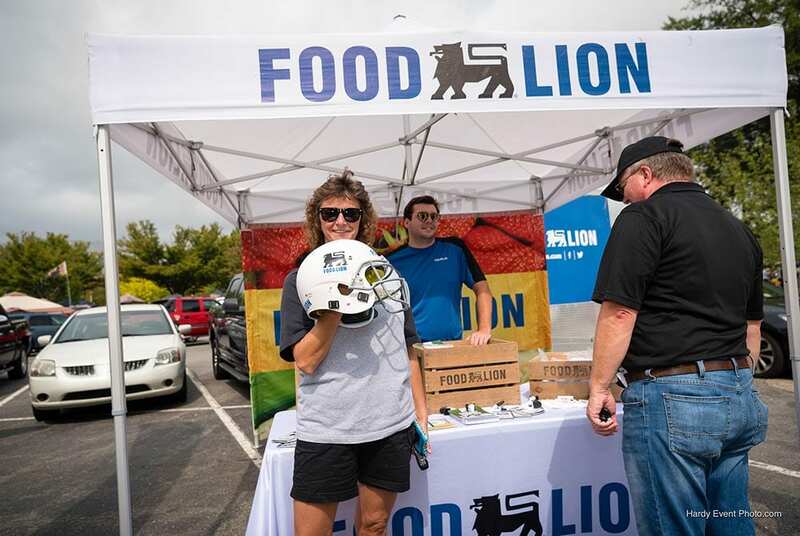 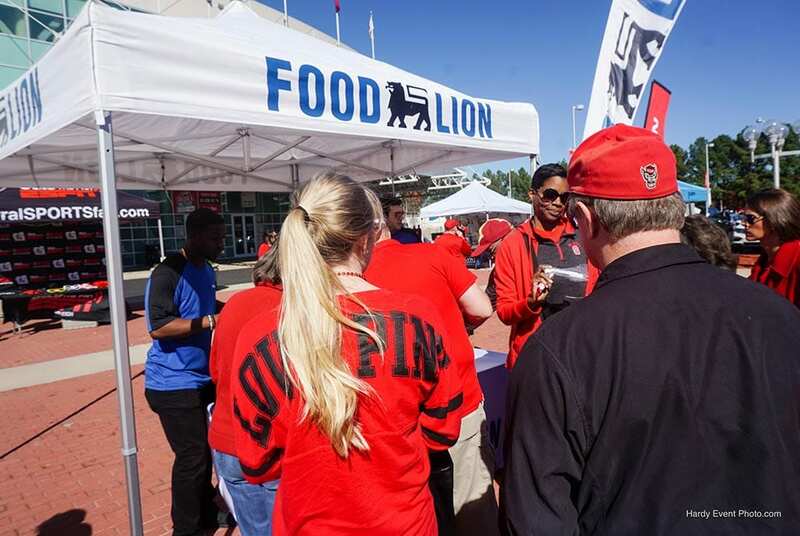 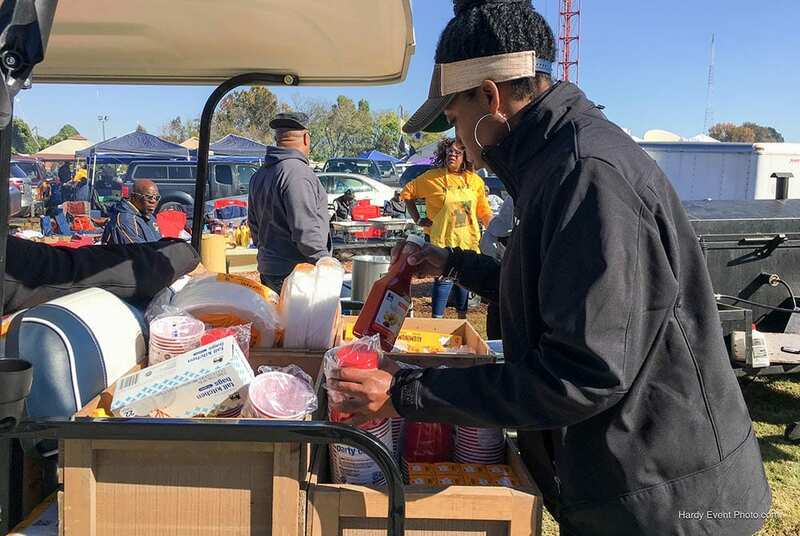 This event provided Food Lion the opportunity to introduce new packaging and products to the community during a fun-filled college football challenge. 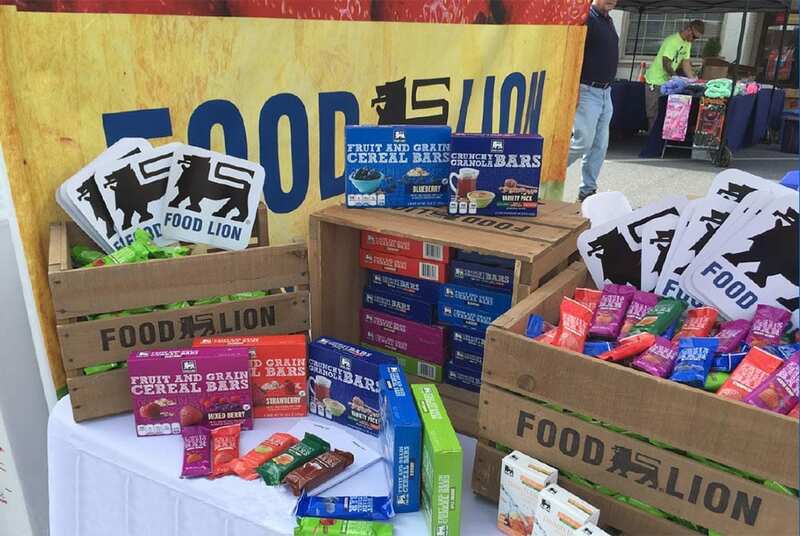 We at HardyHarris provided the brand stewardship expected of our Food Lion partners along with branded products for everyday use. 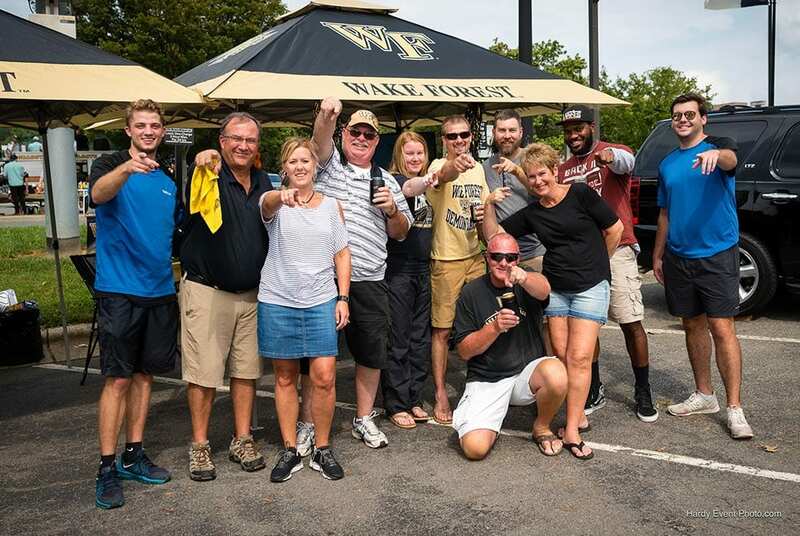 We left no Wake Forest fan without the charcoal, ketchup, mustard, plates or dinnerware they forgot at home. 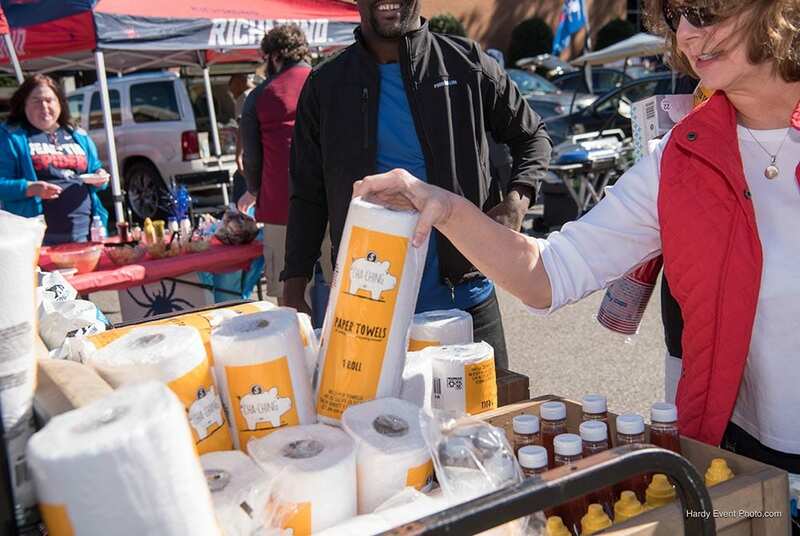 HardyHarris makes the best of every situation. 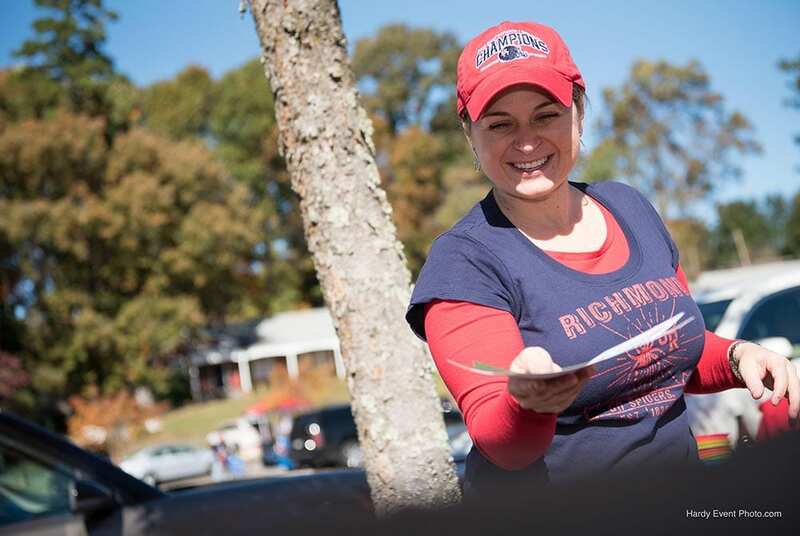 Smiles are infectious! 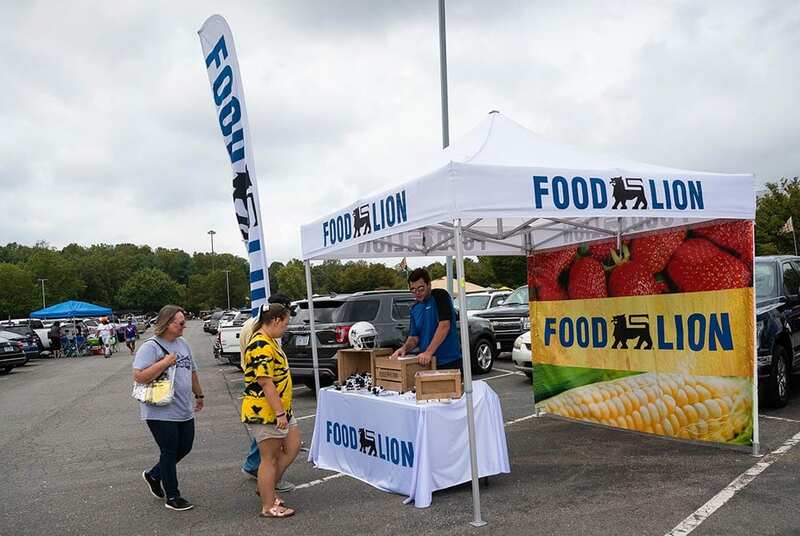 Food Lion and HardyHarris had the pleasure of supporting the Aggies in their successful football campaign for 2018. 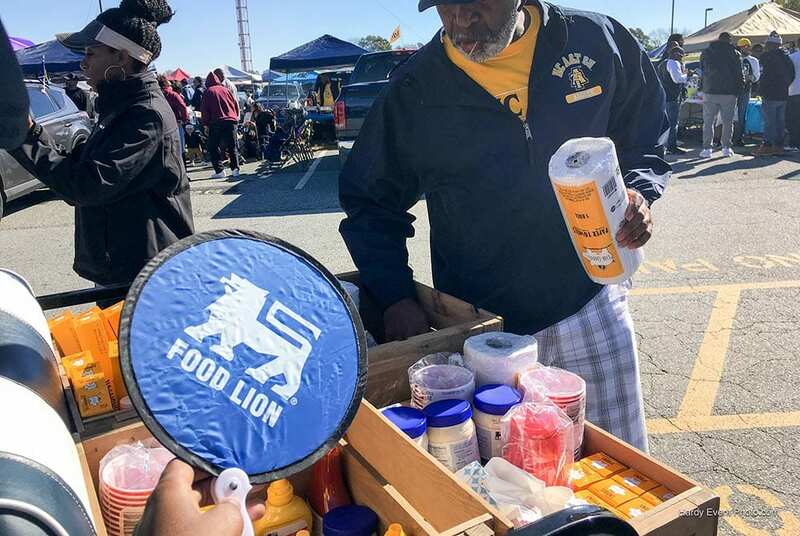 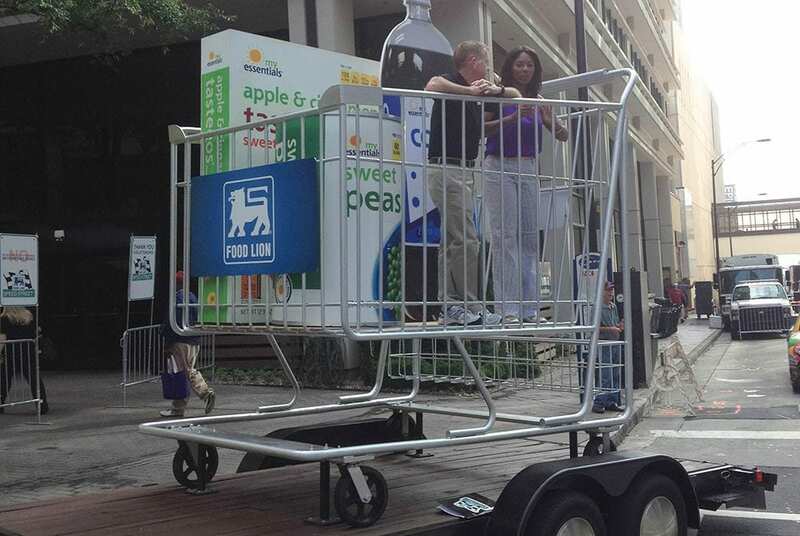 HardyHarris, as brand stewards for Food Lion, shared beloved Food Lion private-label products with numerous NC A&T fans. 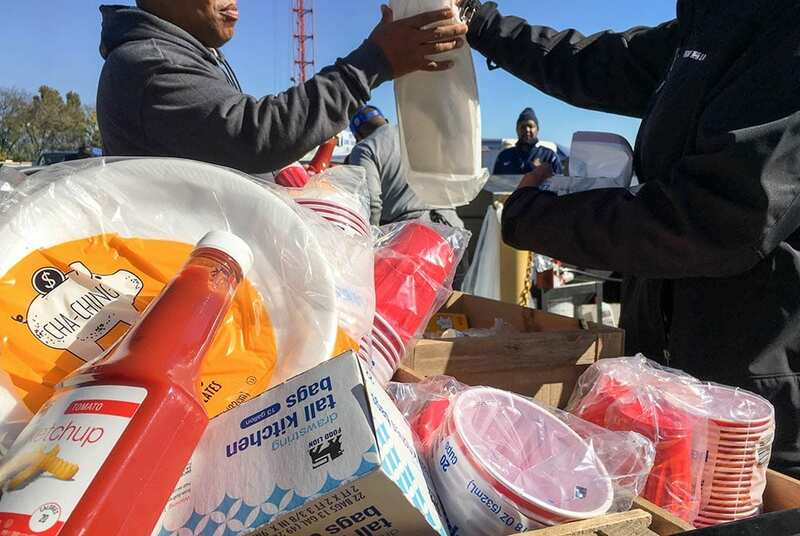 We provided chips, paper towels, mayonnaise and other condiments so that no nothing was missing for the party. 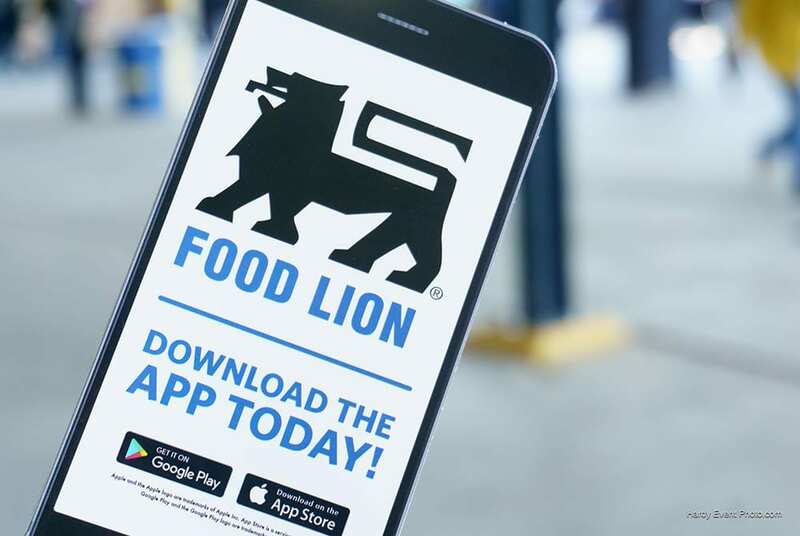 We also supplied our Aggie fans with valuable coupons and armed them with knowledge of our Food Lion app and how to navigate it for maximizing savings at their favorite Food Lion. 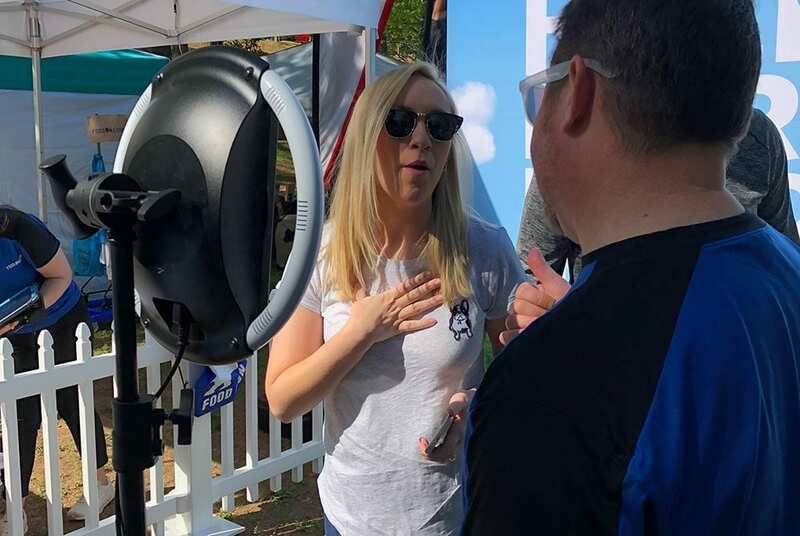 HardyHarris takes on the worry of getting it right, while your product fans focus on the cheers. 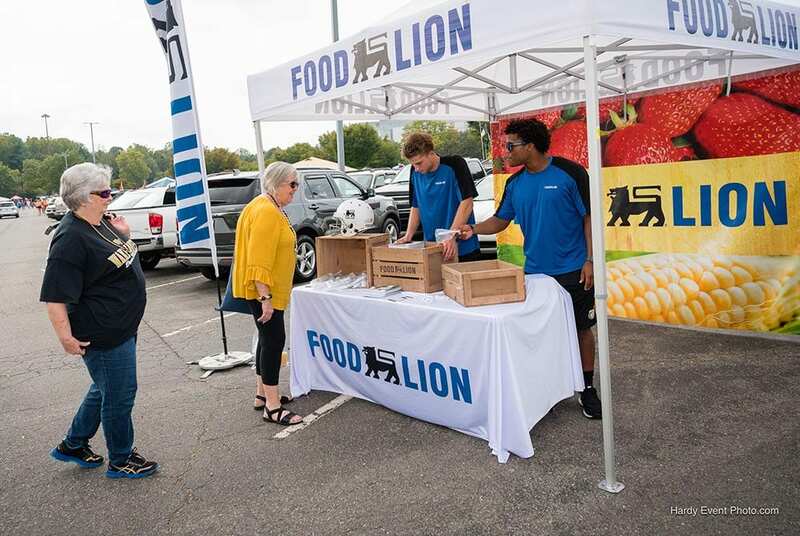 As you can see in our event images, Food Lion and HardyHarris know how to enhance a Spider gridiron celebration. 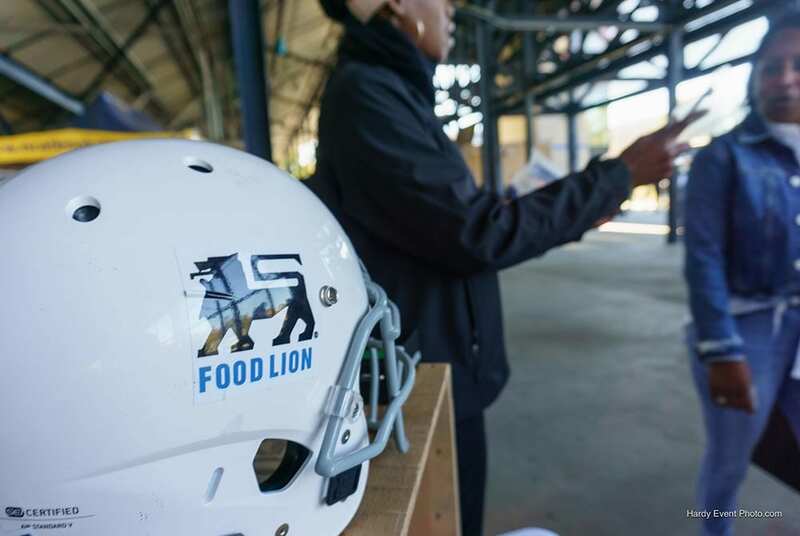 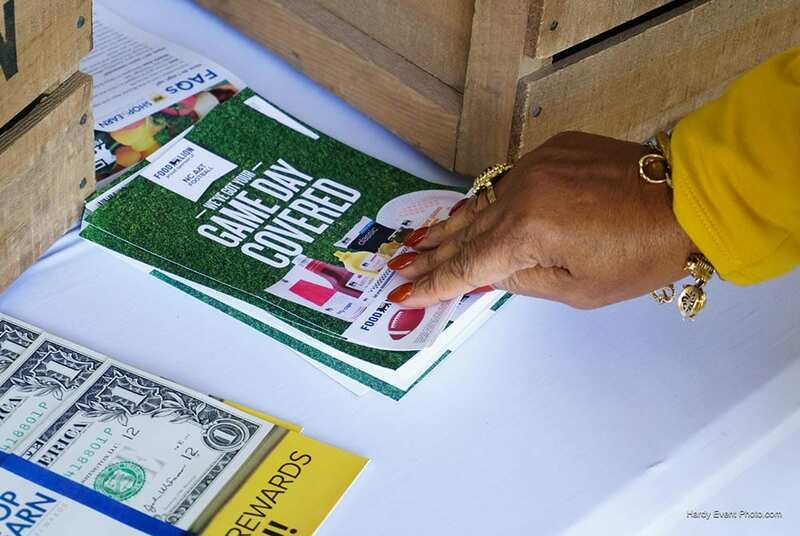 For this event at Richmond, we introduced current Food Lion fans to Shop & Earn, while recruiting new Food Lion brand fans to a whole new savings opportunity. 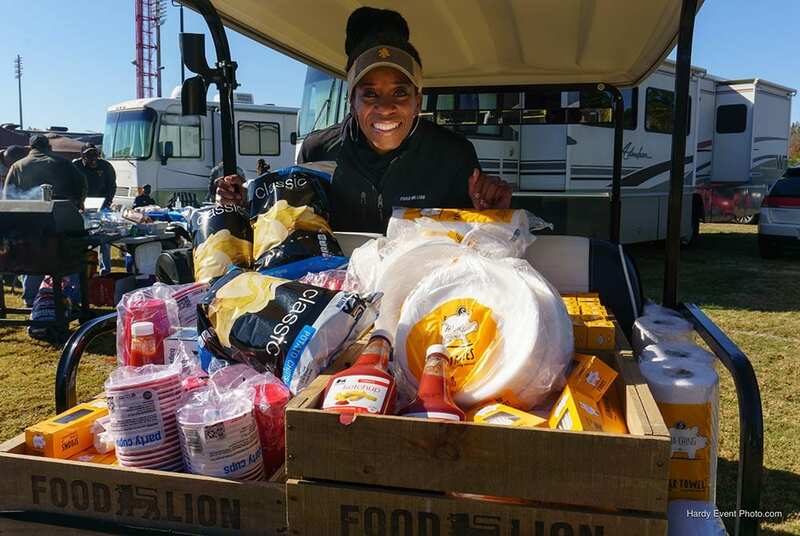 We also made sure there was plenty of BBQ sauce and charcoal for all those who left these items at home. 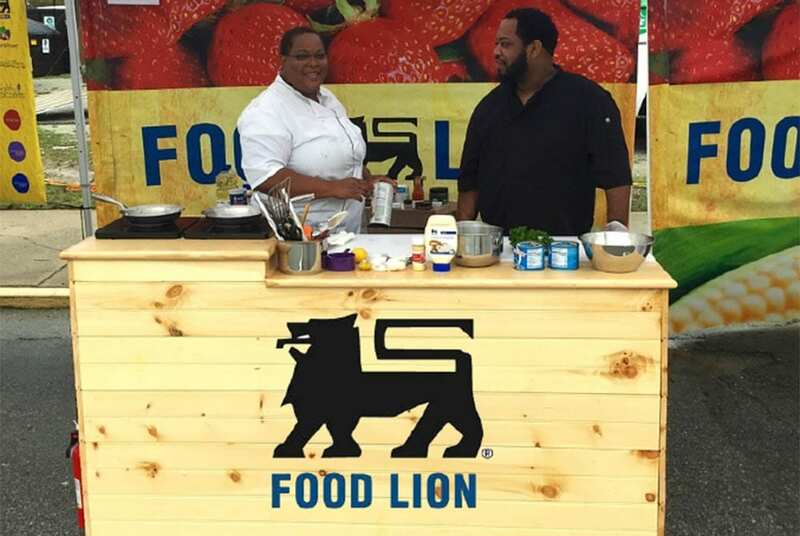 At HardyHarris we leave no chip unturned; no one goes without utensils and everyone understands what makes Food Lion the very best they can be. 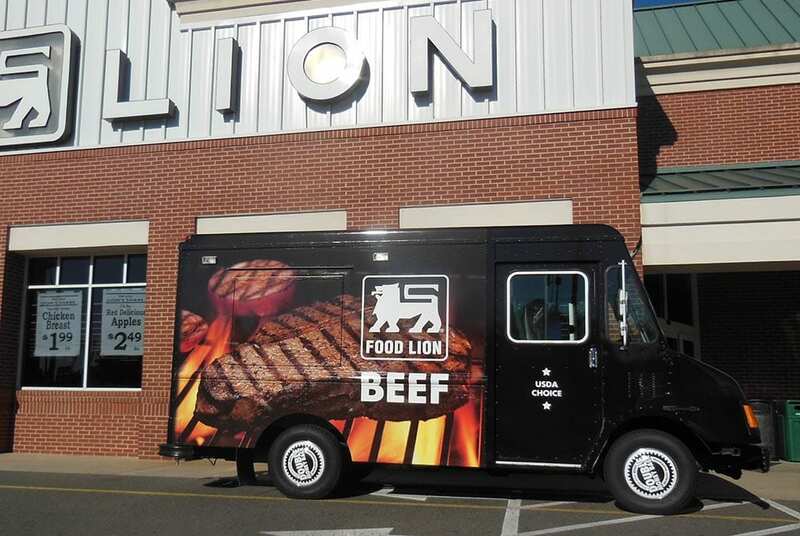 We drive customers to your store, for your products. 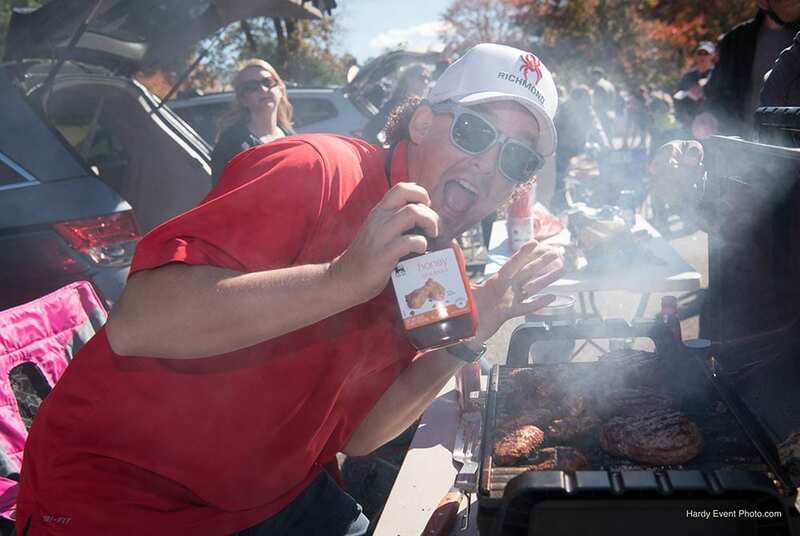 How do you satisfy the ravenous appetite of a Wolfpack? 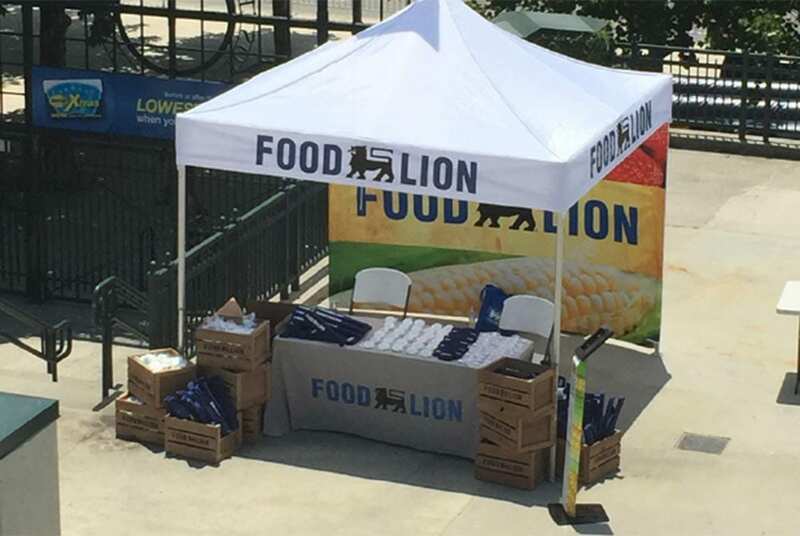 It’s a question Food Lion had when they employed HardyHarris as brand ambassadors for their brands. 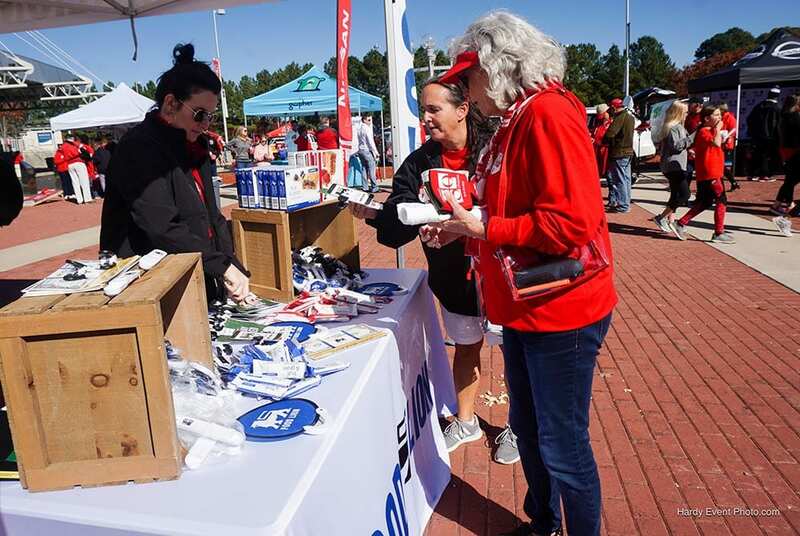 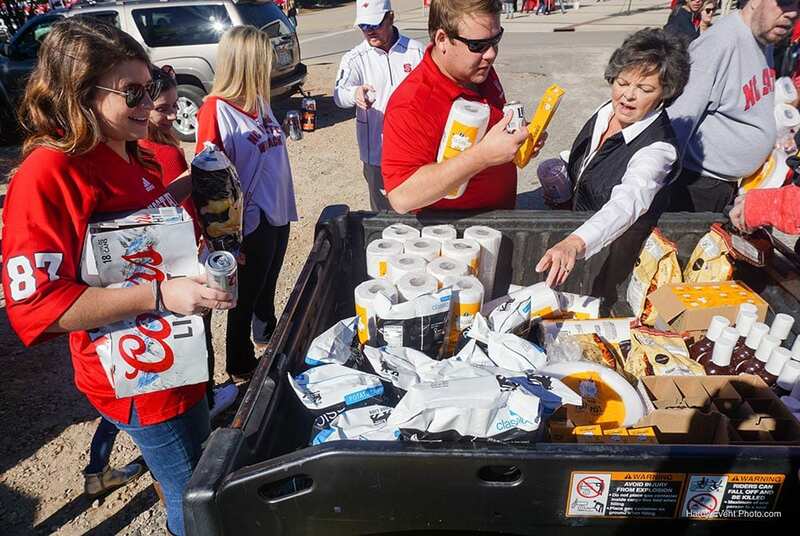 We solved the situation by ensuring no wolf or cub was without the goodies they left at home when making their pilgrimage to Carter-Finley Stadium. 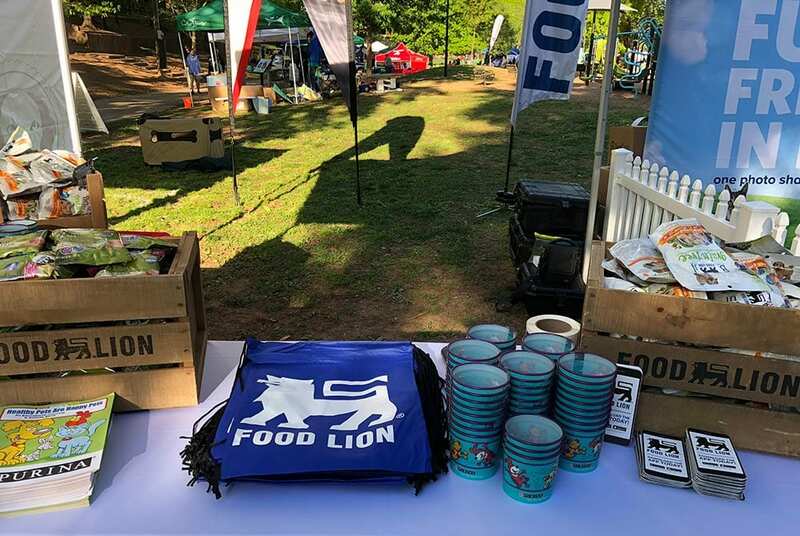 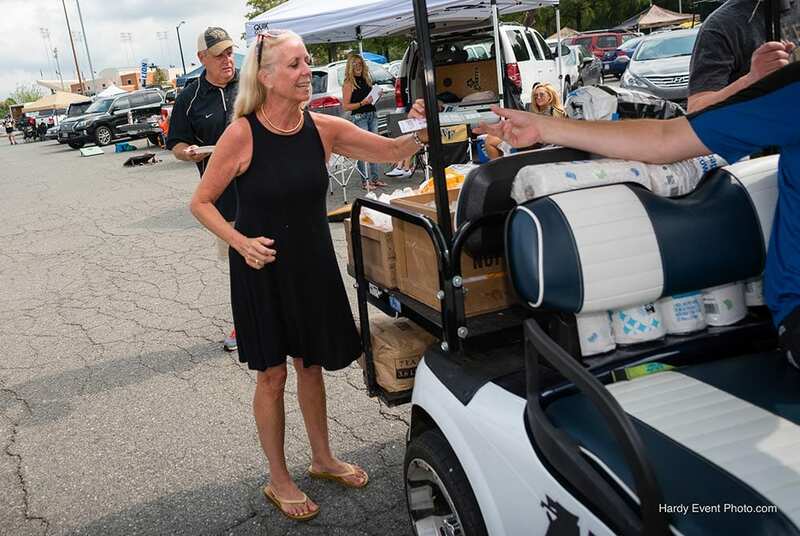 As ambassadors of Food Lion, we passed out the items left behind for the tailgate while delivering the Food Lion message of uncompromised quality and customer service. 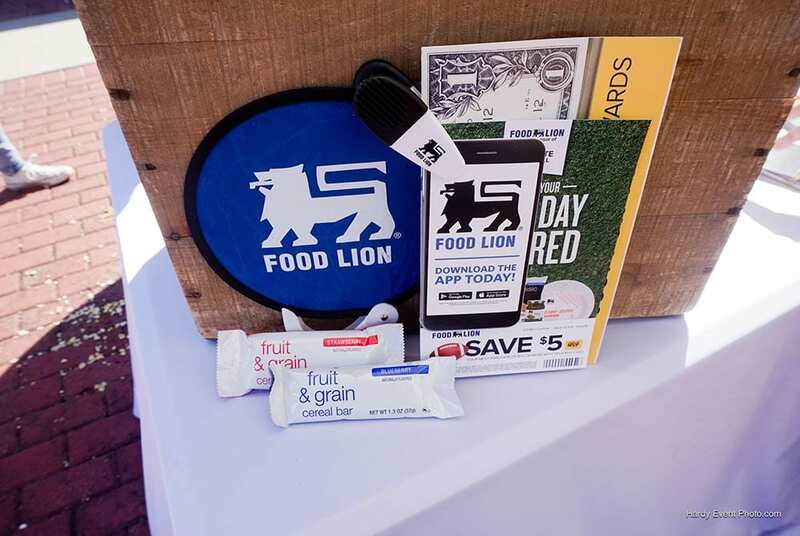 Yes, we made our pack happy, and we also increased the size of our pack by offering branded utilities for all and sharing numerous ways to save at Food Lion. 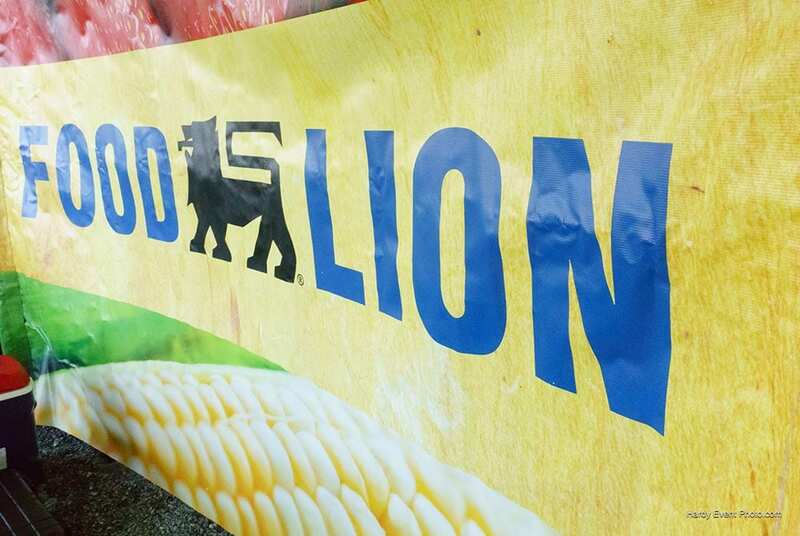 We know Lions and Wolves can thrive together. 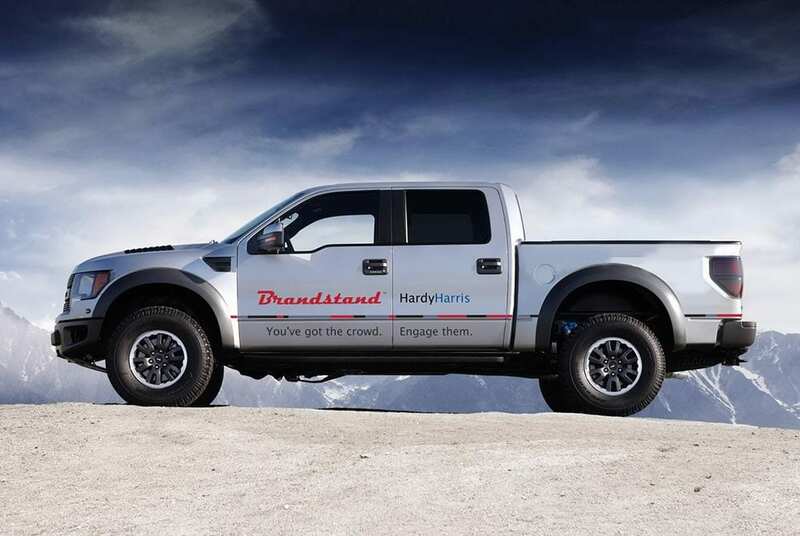 We at HardyHarris appreciate every business partner and look forward to serving you very soon. 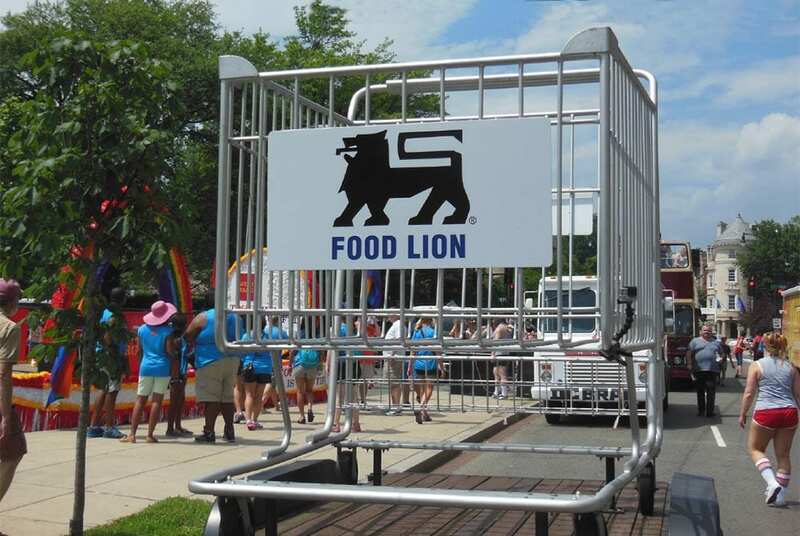 HardyHarris is honored to be a preferred partner of Delhaize and Food Lion. 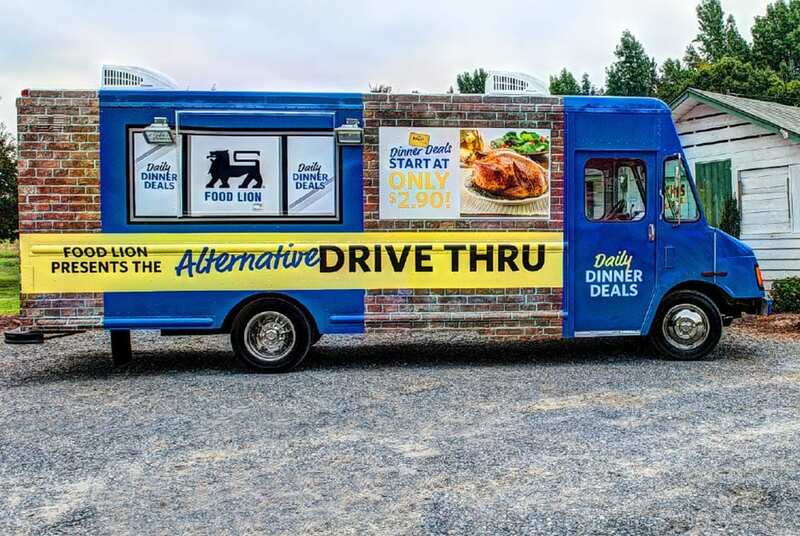 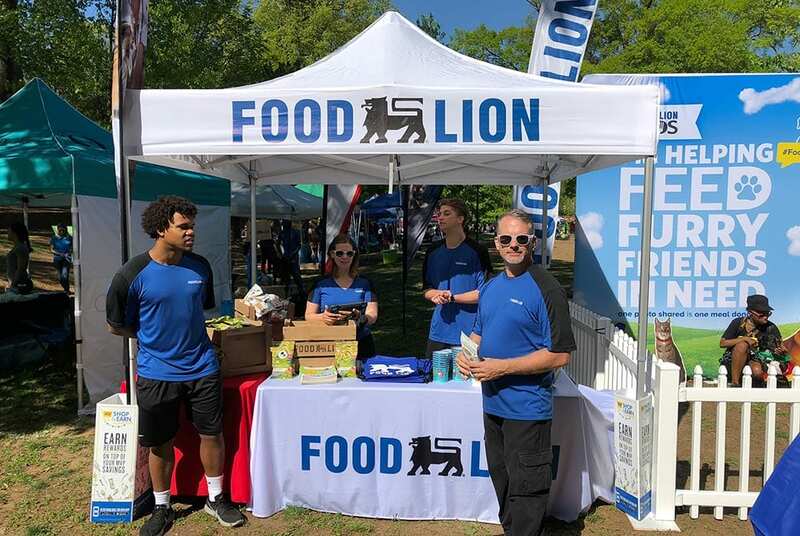 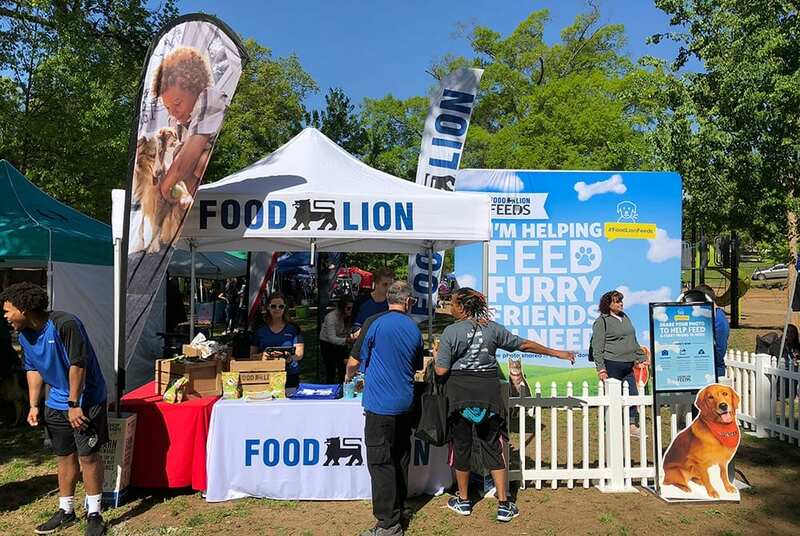 Through the years we have been honored to champion the Food Lion brand at a variety of events, product introductions and recruiting opportunities. 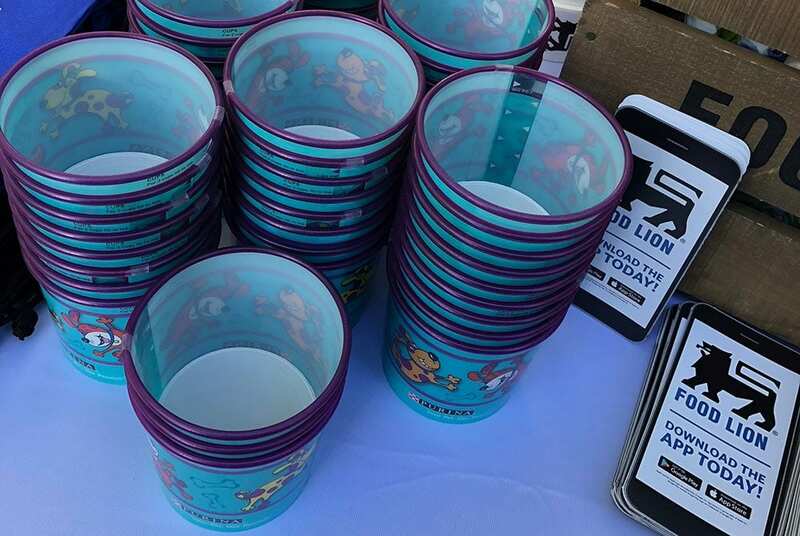 As you will see in these images, HardyHarris is well equipped to serve your brand where you need us with a variety of resources fitted to suit all your branding needs. 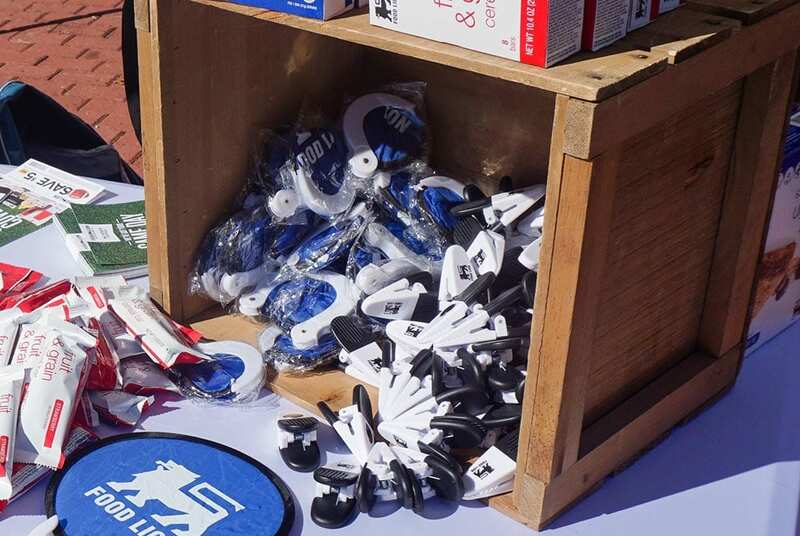 We source branded promotional products, we introduce your new digital apps and we deliver your story to your customers. 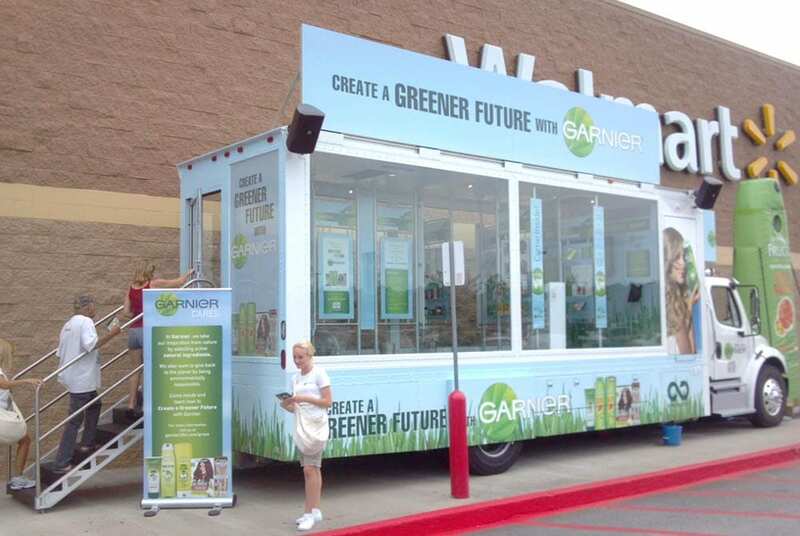 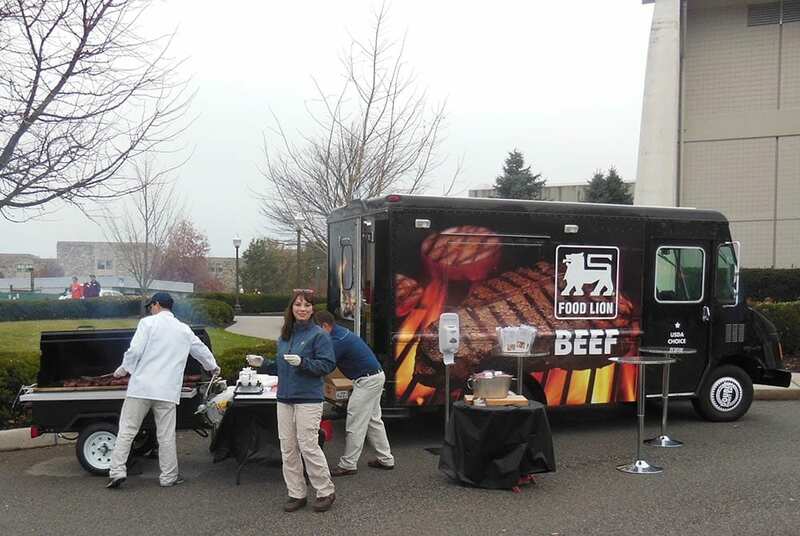 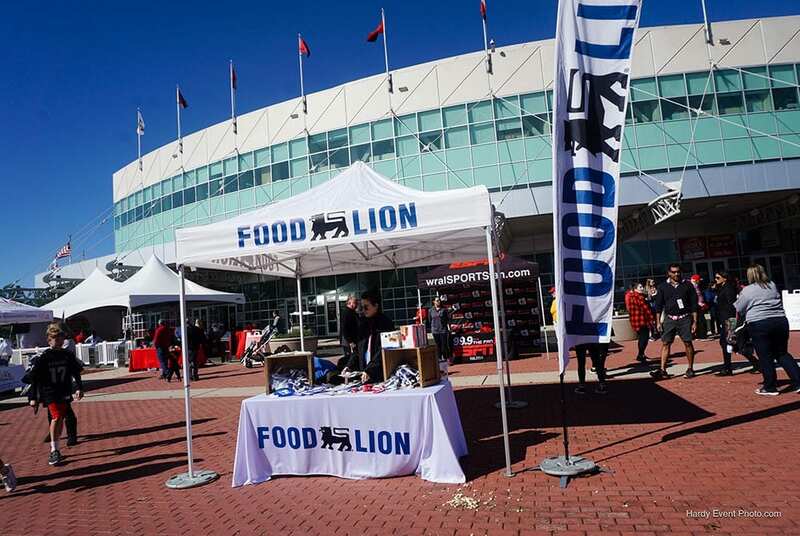 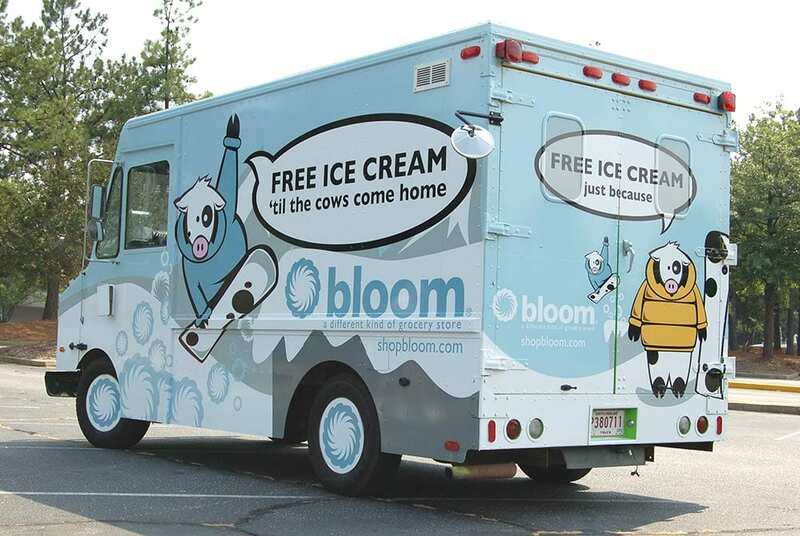 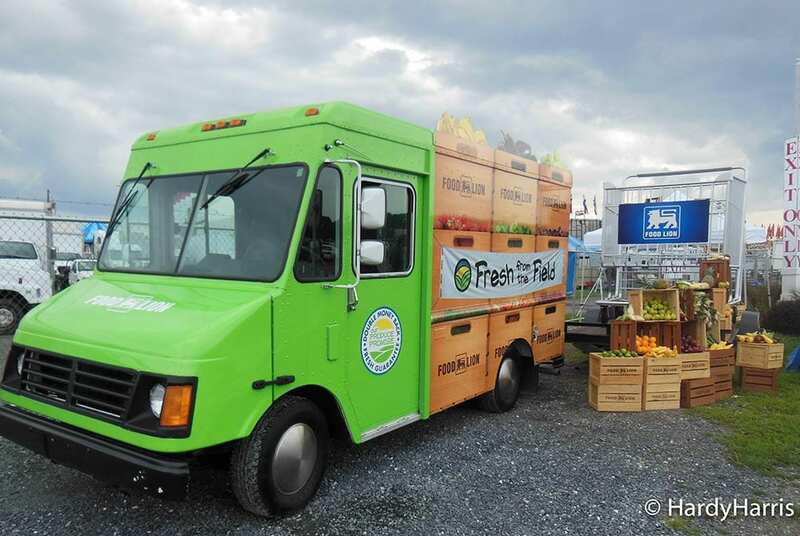 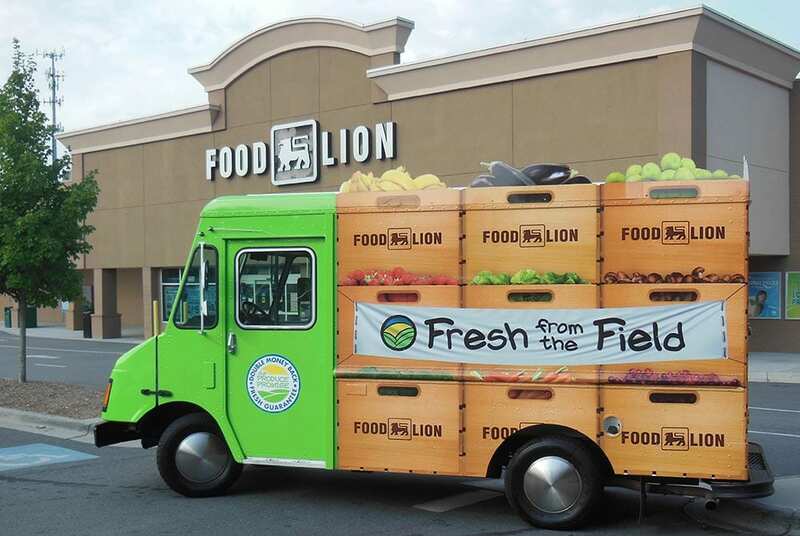 With Food Lion, we have incorporated tents, food trucks, mobile farm markets as well as numerous other marketing resources relevant to the venue and its attendees. 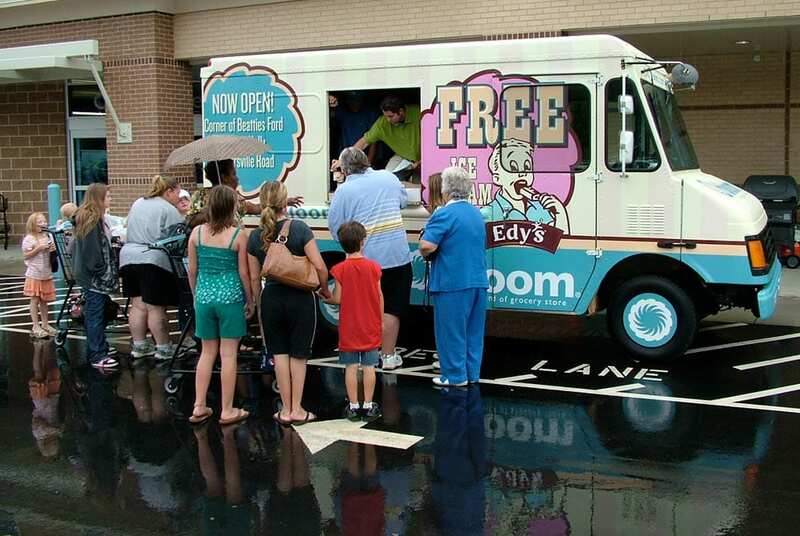 From Edy’s Ice Cream to Dr. Pepper to supporting food banks and our furry friends, we have a solution for you. 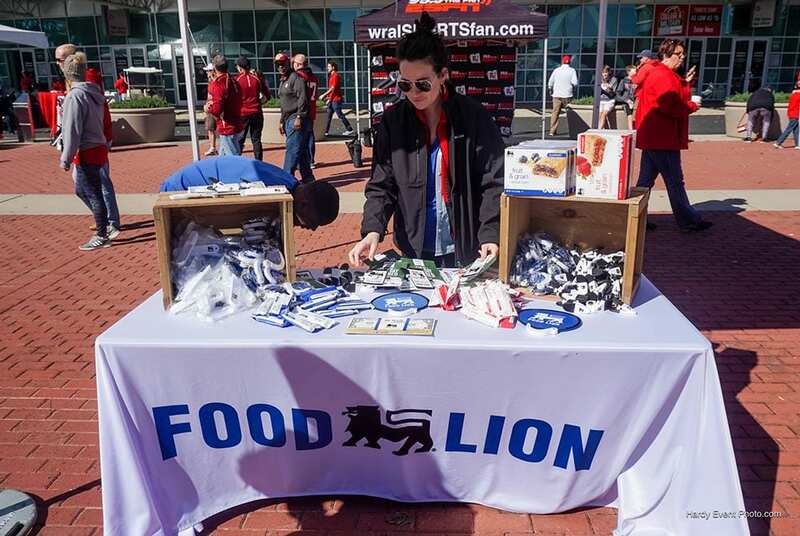 We manage brands from the gridiron to music festivals to recruiting events. 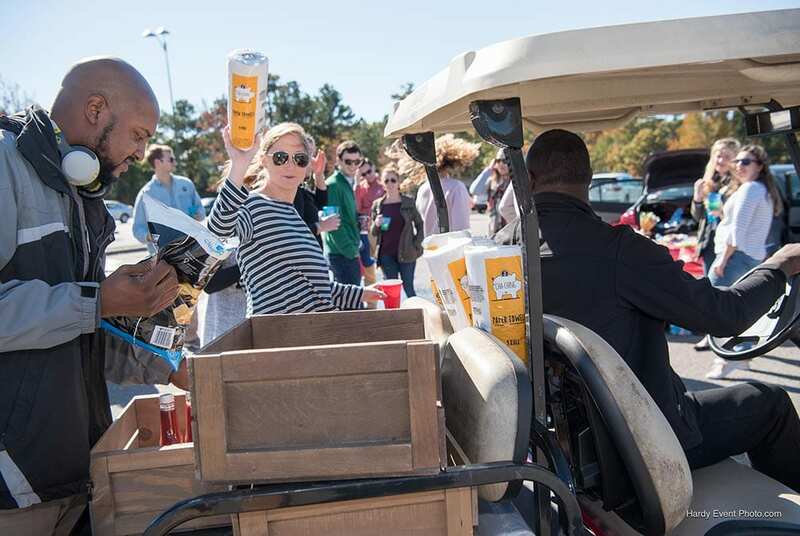 There is nowhere out of reach for HardyHarris. 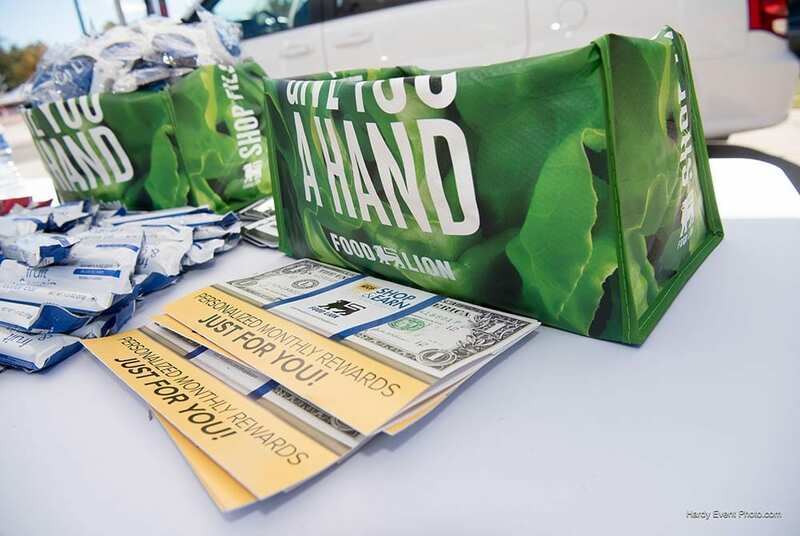 We market where you need us. 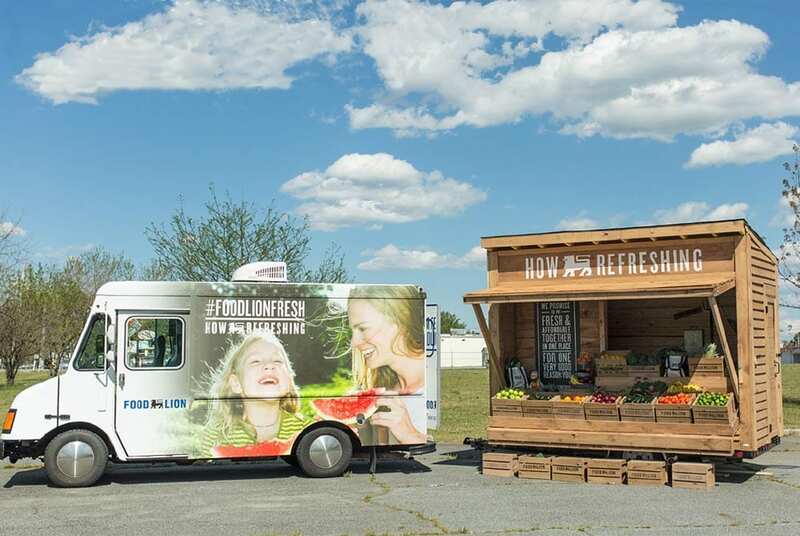 HardyHarris knows how to promote your brand, your cause, your emerging technology and your design innovation. 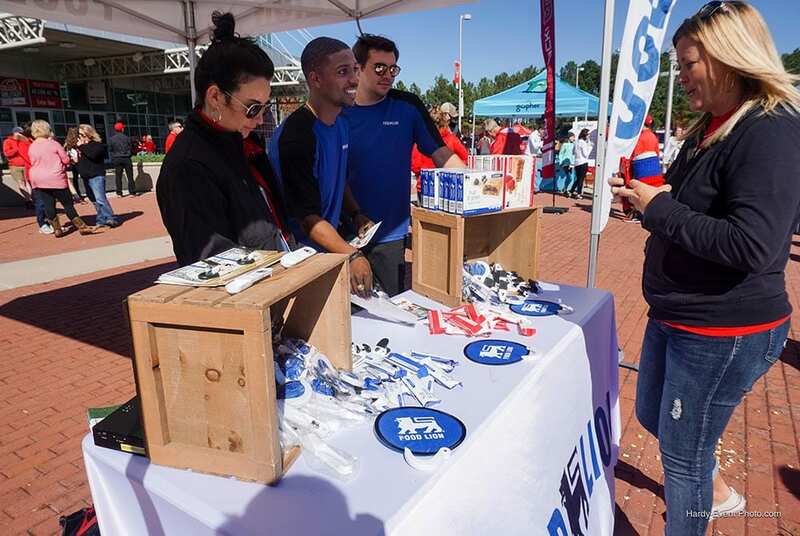 We have the industries leading people and equipment to maximize your brand’s exposure at any size event, large or small. 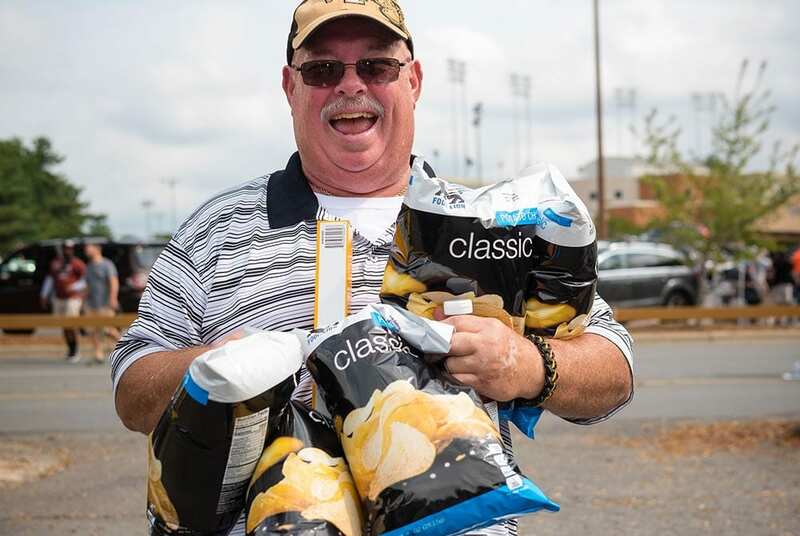 You have the crowd. 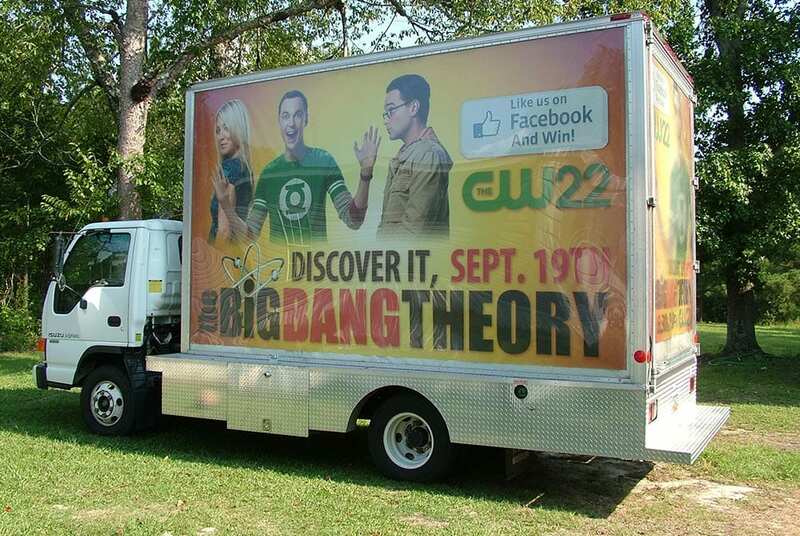 Engage them. 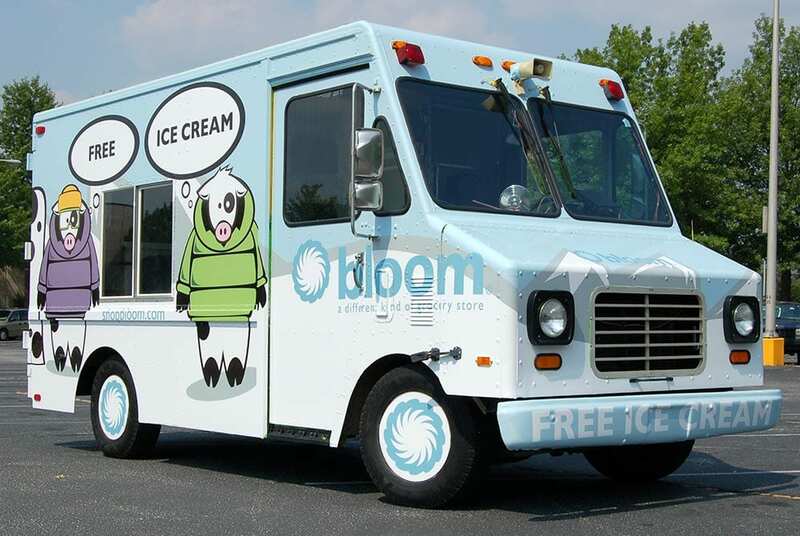 We have the expertise. 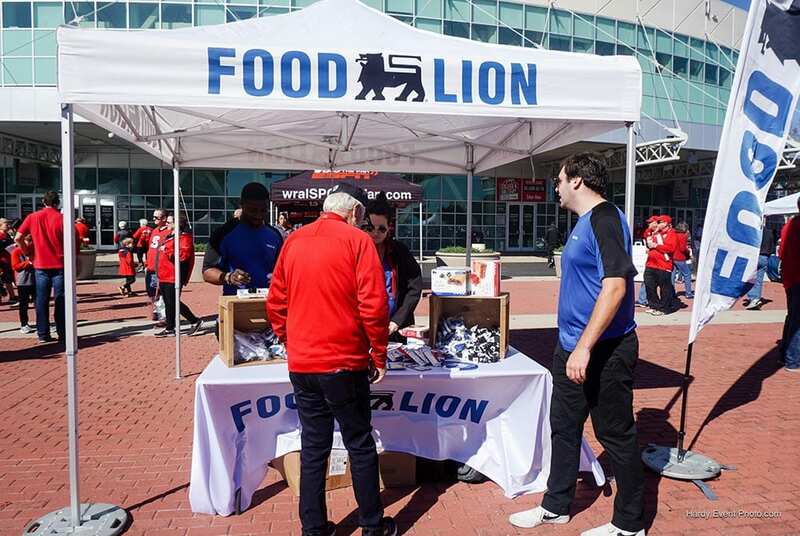 Hire us. 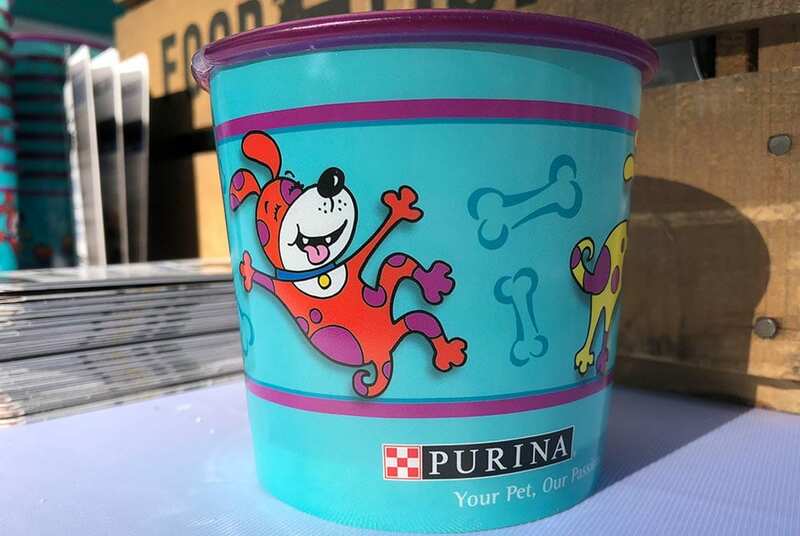 We understand pets. 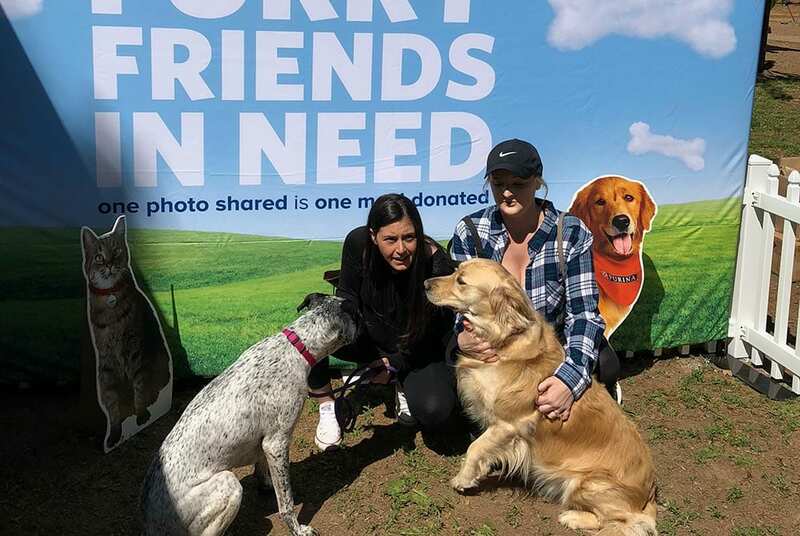 We have them as members of our family. 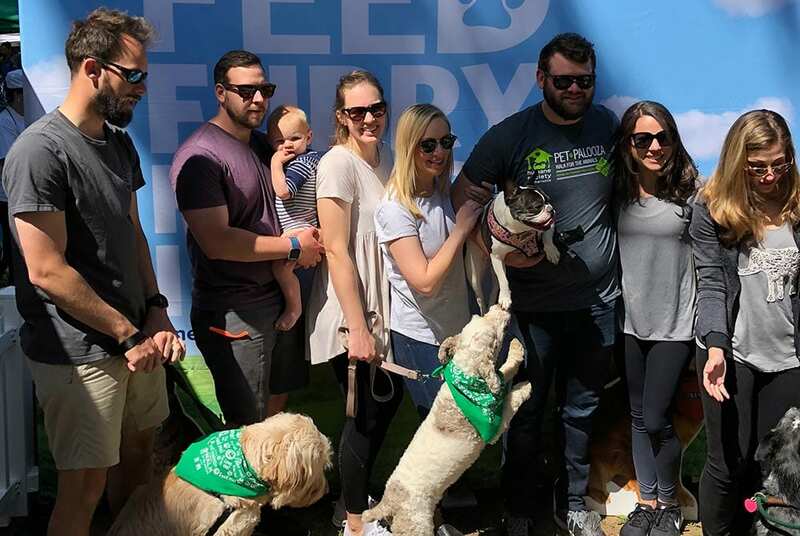 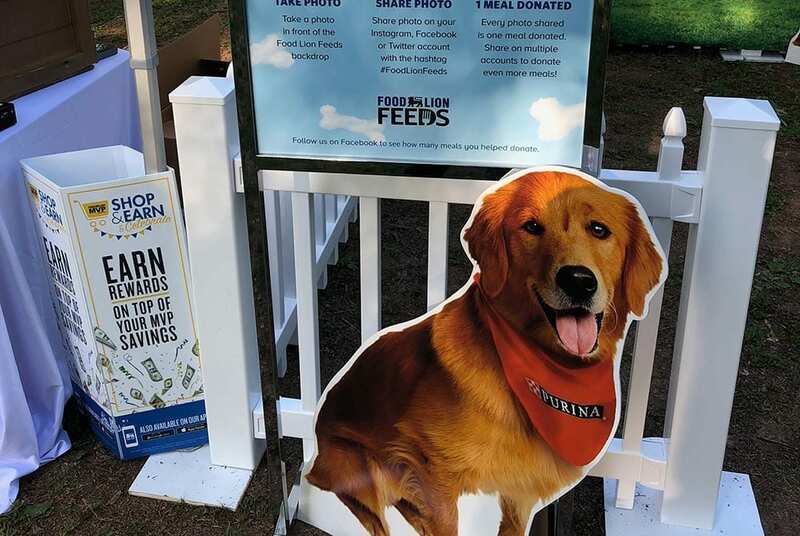 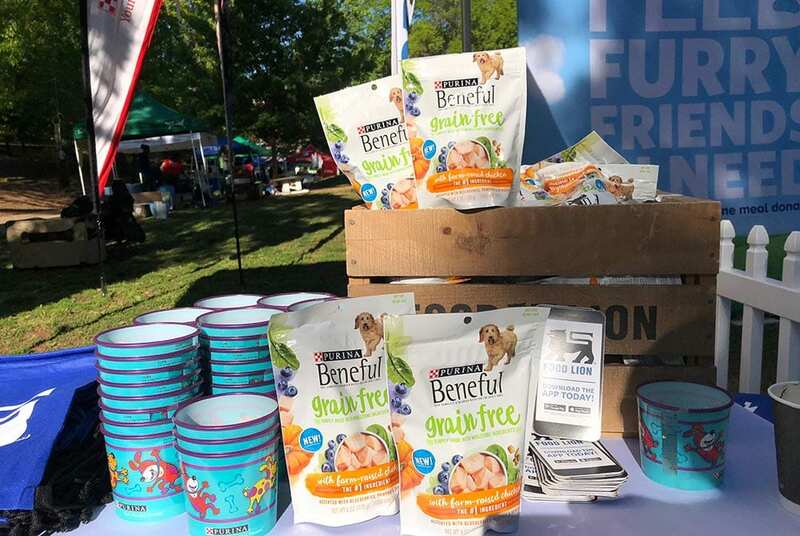 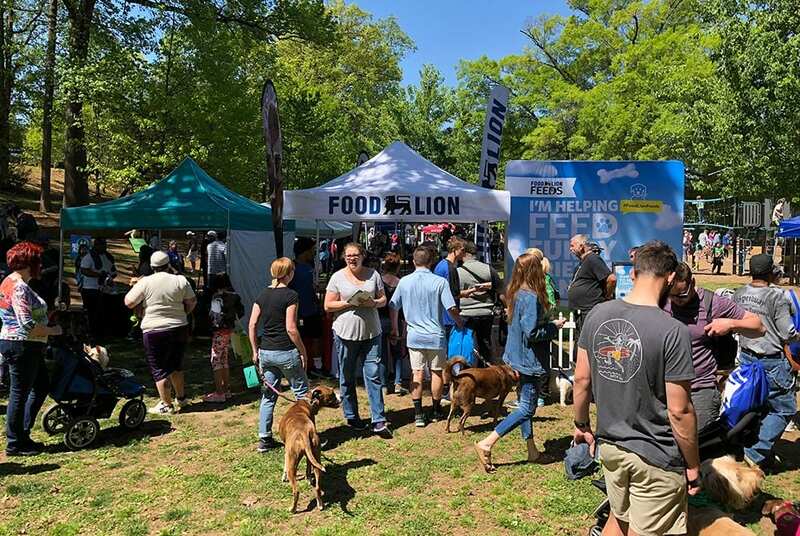 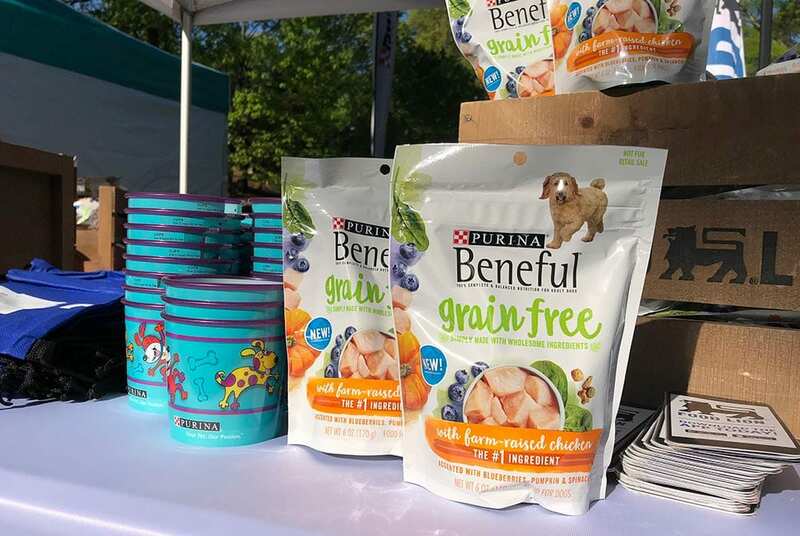 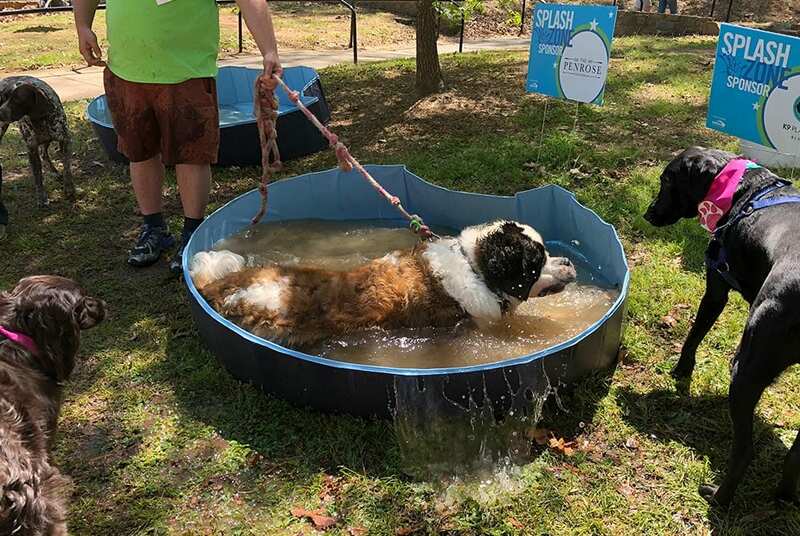 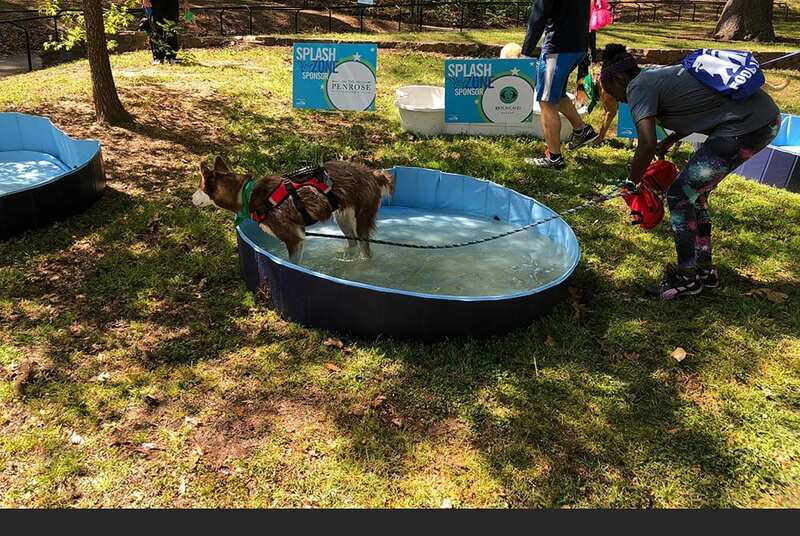 For Pet-Palooza we worked to provide the Charlotte and NC Humane Association with marketing support along with Food Lion and Purina. 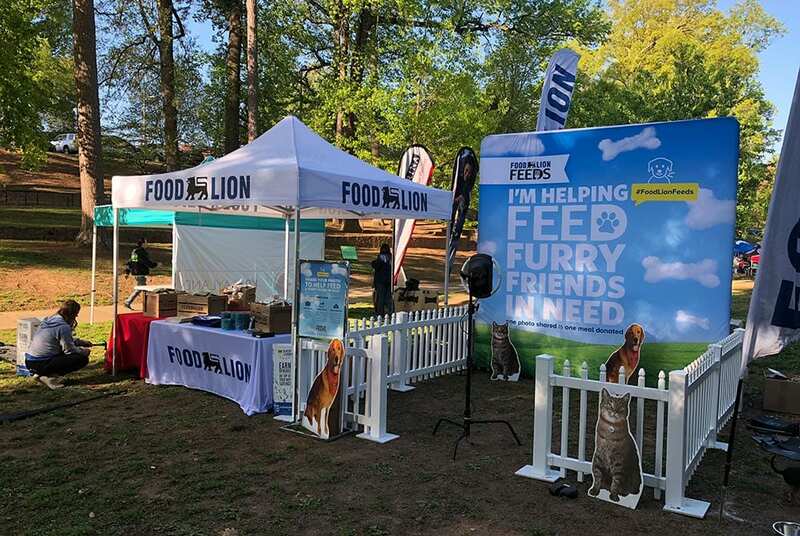 HardyHarris was chosen for this project due to our deep understanding of Food Lion along with our empathy for furry friends. 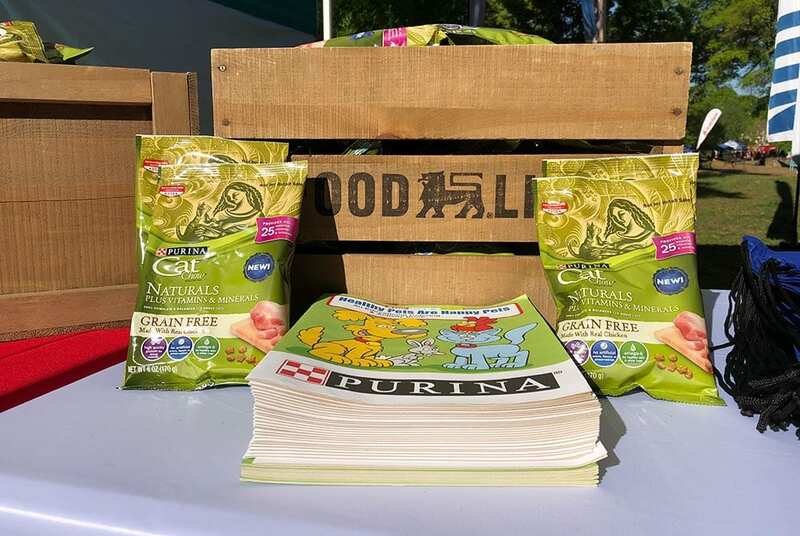 We were able to collect donations for our friends in need as well as showcase some of the terrific Purina products featured at Food Lion. 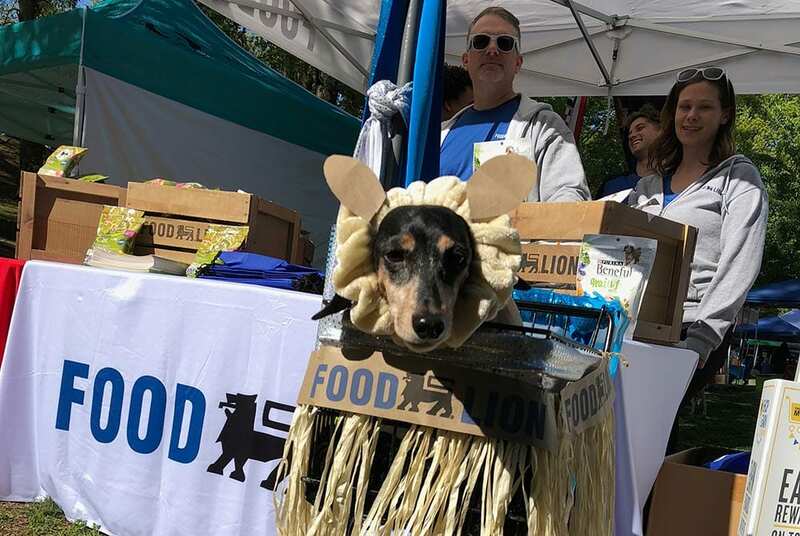 We also raised awareness of the Humane Association’s important work in the community while telling the story of Food Lion’s love of pets.